There are a number of threatening issues that occur in Lower South West Victoria that affect its soils and natural resources. These are discussed below. Soil issues include salinity, acidification, salinity, wind and water erosion and soil structural decline. See Soils of the Lower South West Region for information on soil types. Salinity affects at least 30,000 ha of land in the Glenelg Hopkins catchment and 21,000 ha in the Corangamite catchment of South West Victoria. 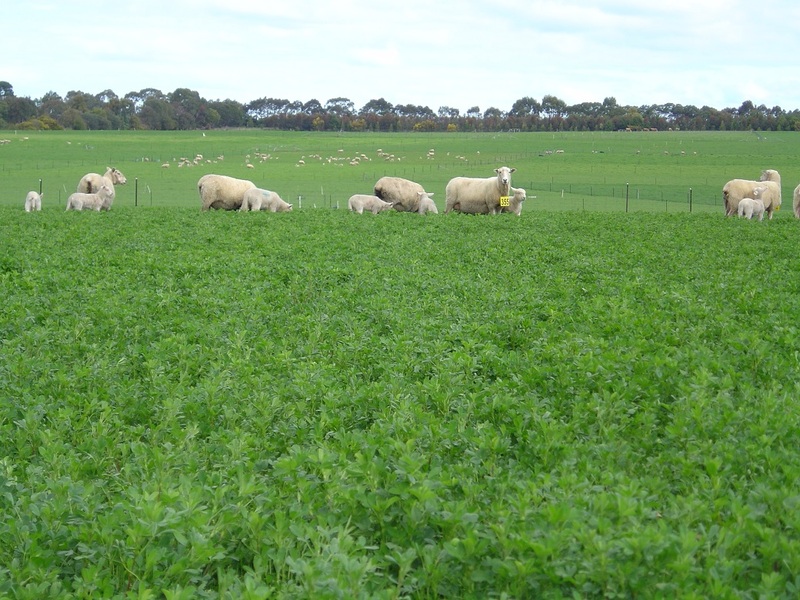 Salinity leads to loss of pasture production, especially salt sensitive pasture species, such as sub-clover and lucerne. This poor plant growth results in bare ground, exposing it to wind and water erosion and the invasion of salt tolerant weeds, such as sea barley grass and spiny rush. Nutrient imbalances or deficiencies in affected soil further reduce plant growth. High salt levels lead to soil structure decline and a range of environmental problems, such as saline waterways and a loss of aquatic life. Key to the management of salinity is reducing leakage of water below the plant root zone (recharge) – thereby preventing a rise in the water table. The Hamilton EverGraze Proof Site showed that recharge could be significantly reduced by incorporating deep rooted summer active perennials in the system. See Manage recharge and salinity in South West Victoria for further information. 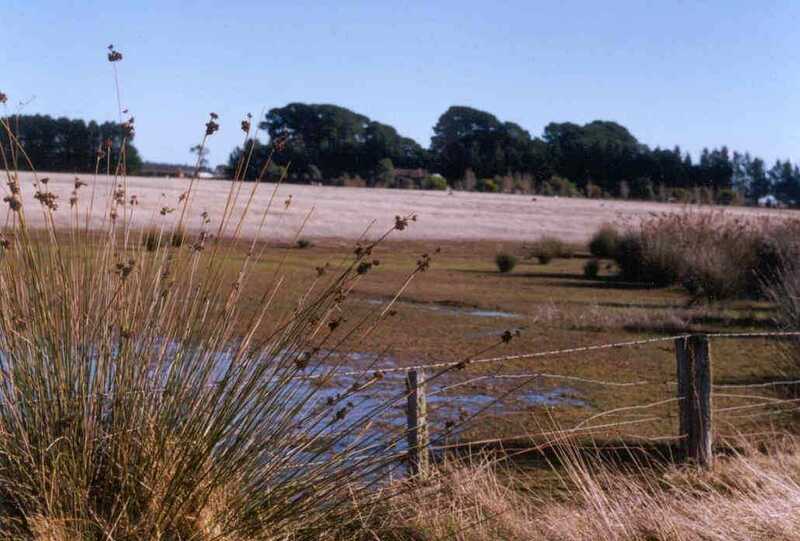 Low pasture production and spiny rush are typical of salt discharge areas in South West Victoria. Soils are naturally acid in South West Victoria, with the majority being moderately acidic (pH (CaCl) 5 to 5.5). They generally don’t require applications of lime unless lucerne or phalaris is to be established and aluminium levels are higher than desirable. Of concern are strongly acid soils (pH (CaCl) 4.5 to 5) which occur in pockets of lighter textured soils with high rainfall throughout the region (see soil pH map of Victoria). These soils require applications of lime to establish pasture and to maintain production. Lucerne required lime for establishment at the Hamilton Proof site. 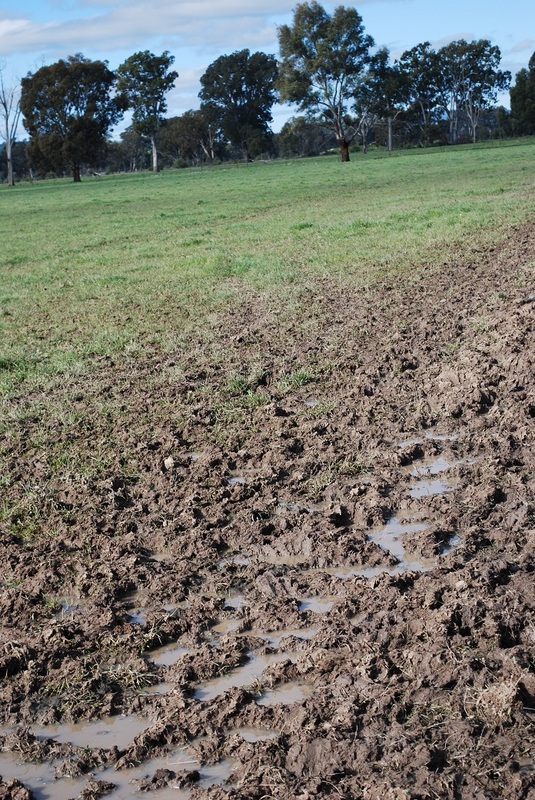 Managing saturated soils in winter and spring can be a major issue for South West Victorian farmers who have low lying areas with heavy clays and annual rainfall which exceeds 600 mm. Grazing pastures when wet can result in pugging damage. Soils become compacted and pasture growth and production is reduced. See Manage wet soils in South West Victoria (Lower) for further information. Low-lying soils can become waterlogged and prone to pugging. Significant damage to soils in South West Victoria has occurred when groundcover has been removed and is no longer available to protect soils from wind and water erosion. This occurs mainly in droughts but still occurs in pastures which have a high proportion of annual species like sub-clover or capeweed. When annual species die out in spring they leave high levels of bare ground during summer and autumn. Pastures which are continuously grazed are most susceptible unless practices are put in place to destock when groundcover falls below critical levels. For further information see Manage ground cover and increase persistence. Lower South West soils tend to be compacted which has been caused by driving over soils with heavy machinery or grazing animals when the soil is wet. Compaction impedes root growth and restricts the movement of air and water through the soil. Although controlled traffic is regularly used in cropping it tends not to be in grazing systems. Organic matter levels are normally above 2% and are generally maintained in grazing systems but they do become depleted under cropping or excessive mechanical disturbance. Organic matter is important for maintaining soil structure and allowing oxygen and water to move through the soil for roots and microbes to use. Light textured soils are naturally lower in organic matter than heavy textured soils and can benefit from additions of animal manures. Building up organic matter through good pasture growth is the best way to improve structure. The subsoils of many yellow duplex soils (sodsols) in South West Victoria are sodic (exchangeable sodium is 6% or greater). Sodic soils disperse when wet meaning the clay particles separate out in solution and block pore spaces reducing infiltration and air movement. The use of gypsum may be needed to alleviate subsoil sodicity. Some surface soils are also sodic and may require gypsum prior to pasture establishment to break surface crusting and allow germination of seedlings. There has been a significant loss of biodiversity in South West Victoria with the clearing of native vegetation for agriculture. Less than 0.1% of the original native grasslands remain on the volcanic plains of Lower South West Victoria. Areas of native grasslands can be found on areas that have not been cultivated such as rocky ground or steep hills. Native grasses offer a range of benefits in a grazing enterprise, from feed value to harbouring beneficial insects for pest control. 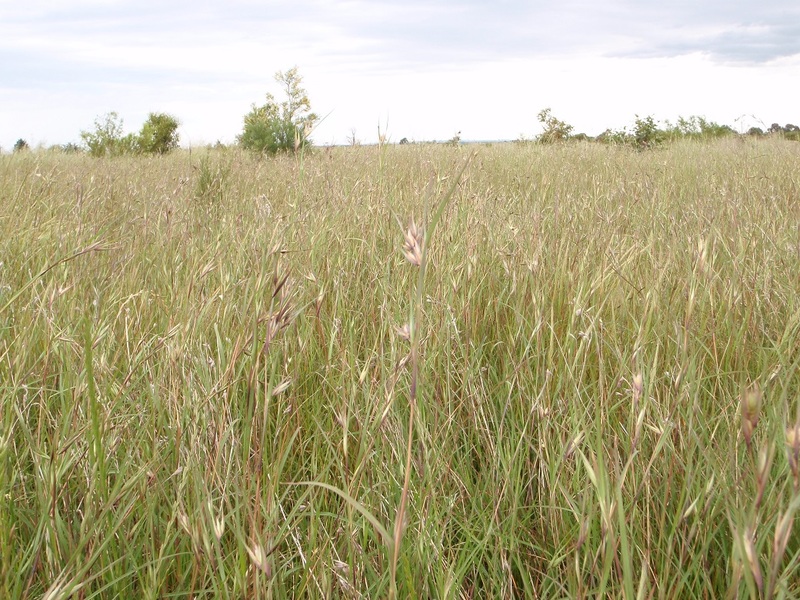 Serrated tussock and Chilean needle grass are invasive weeds of national significance that are invading native grasslands and sown pastures in the region. These weeds occur in highest concentrations around Melbourne and Geelong but are now found located throughout lower South West Victoria. The Fiskville Supporting Site discusses how changing management helps to control serrated tussock in steep gorges. Much tree cover has also been lost making remnant vegetation valuable for conserving wildlife habitat and salinity management. South West Victoria supports 26% of Victorian’s wetlands and over half have been drained or are degraded. Restoring or repairing wetlands helps to maintain habitats for a diverse range of plant and animal species including birds like Brolgas and Ibis. 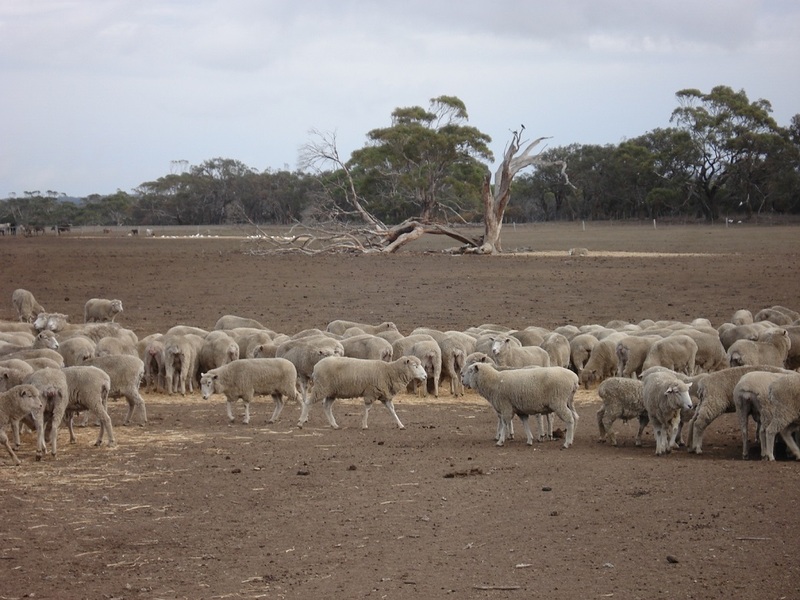 See EverGraze Action – Management of native pastures in Victoria and identifying native grasses for further information. Many waterways within South West Victoria are degraded through stock access causing bank erosion and the removal of the riparian vegetation zone which helps stop nutrients from entering waterways. Fencing off waterways from livestock and restoring riparian vegetation helps maintain water quality. Inappropriate fertiliser use can be linked to high nutrient levels being found in nearby waterways.